Our DJ's play a wide variety of music selections from Katy Perry to Miles Davis, so we always have the perfect song for any age group. T&R provides crystal clear sound and stunning visual effects. We are the perfect pick for your next dance, wedding, or corporate event. We have over 10 years experience as DJ's in the Chicagoland area and have built extensive playlists of all the best music from each genre . We do ask that you provide us with a list of must-haves or of any restricted songs, such as explicit songs, beforehand and we will be sure to set our playlists accordingly. You'll also always find that you are dealing with professionals who are there to help you with every question or concern that arises. We pride ourselves with excellent service and always giving you the best experience possible. T&R offers high performance audio systems fine-tuned to match your specific needs. We have corporate PA systems tuned for vocal clarity, DJ systems with high impact bass, rock and roll systems for bands as well as low profile systems for when you want to hear the audio without seeing the speakers. T&R has a large selection of screens and video options to meet your specific needs. Whether we are handling a single conference room or an entire trade floor. Our plug and play systems give you the tools necessary to bring your product from your laptop onto the big screen. 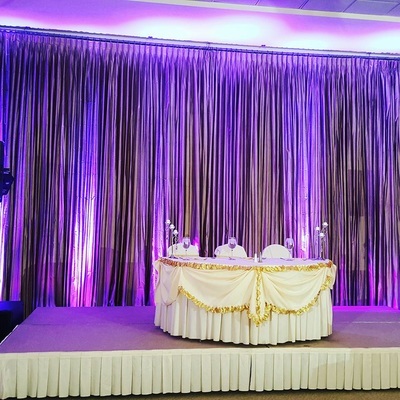 Our basic package creates the perfect ambiance of light and color to fit your venue. We offer a variety of LED lighting effects that will add visual elegance to any space. 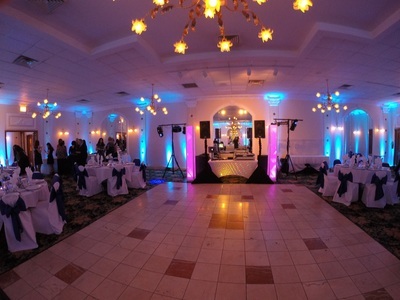 Along with dance floor lighting that turns any room into a party. We provide tune-key package with all the accessories for your next event. 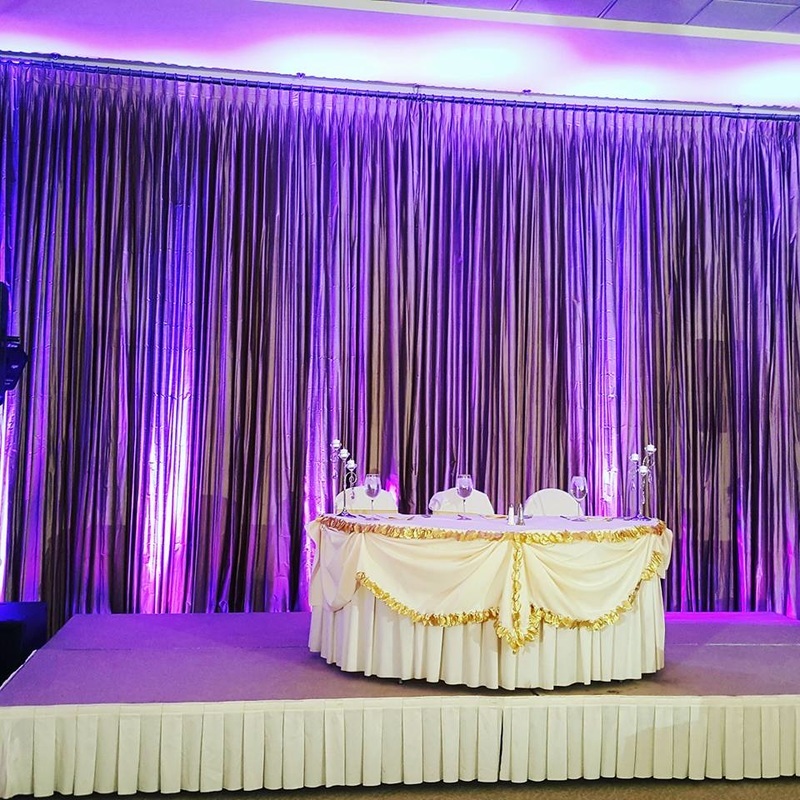 We have individual items that can add to a preexisting setup, or we can provide you with all the necessary components to great your own event.